Camp Moshava of Wild Rose, WI is now open for registration and will hold two informational meetings for returning and prospective camper parents and campers. On Monday, October 22nd at 7:30 pm at the home of Aviva and Ami Robinson, 9346 Avers in Evanston, for 3rd -5th graders and on Tuesday, October 23rd at 7:30 pm at the home of Allison and Yoni Bellows, 9101 Kedvale in Skokie, for 6th – 8th graders. Come meet with Josh Zwelling, Camp Director, and Shira Kroll, Assistant Director, to hear about camp’s exciting plans for Summer 2013. Don’t miss out on our six weeks of camp for the price of four! For more information, call the camp office at 847-674-9733 x11. We hope to see you there! Click here to view the flyer and for more information! Open House in Los Angeles!  Camp Moshava of Wild Rose, WI will hold an informational meeting for returning and prospective camper parents and campers, Tuesday, October 16th at 7:30 pm at the home of Dina and Michael Glouberman. Come meet with Josh Zwelling, Camp Director, to hear about camp’s exciting plans for Summer 2013, including six weeks of camp for the price of four! For more information, call the camp office at 847-674-9733 x11. We hope to see you there!